The Isagenix IsaGenesis President’s Pack is one of the best values around. The money-saving pack contains not one or two but eight bottles of IsaGenesis. With 120 softgels per bottle, the IsaGenesis President’s Pak provides athletes and Isagenix businesses partners with an amazing opportunity to jumpstart their business and reduce oxidative stress. IsaGensis is an advanced scientifically proven formula of complex vitamins and botanical antioxidants designed to help reduce oxidative stress and support telomere health. Vegetable softgel capsules are used for better absorption and delivery to the cells. Like other IsaGenix products, IsaGenesis is the result of careful scientific evaluation and analysis, ensuring every ingredient meets strict quality standards and plays a key role in its overall effectiveness. Isagenix follows and exceeds all manufacturing best practices and utilises a product safety verification program for quality assurance. From the testing of pre-production raw materials and dosage evaluations to the use of independent laboratories for product safety verification, Isagenix has a clear commitment to quality and the effectiveness of its products. As the brand’s only oxidative stress reducer, IsaGenesis has been tested, re-tested, and tested again for its safety and effectiveness. IsaGenesis provides a number of telomere health benefits. However, by following a program containing IsaLean Shakes, Cleanse for Life, Ionix Supreme, and other top-notch Isagenix products, you can help boost your energy levels, improve your health, and maintain a healthy lifestyle. Our cells contain crucial DNA information, and this information is protected by telomeres. Similar to plastic shoelace caps, telomeres surround and encapsulate our DNA to keep it intact. Unfortunately, factors such as an unhealthy diet, oxidative stress, and poor lifestyle choices can accelerate telomere shortening, quickening the aging process. IsaGenesis combats telomere shortening and slows the aging process. Thanks to its advanced formula of vitamins and complex botanicals, the easy-to-take softgels reduce oxidative stress to provide excellent telomere support and promote youthful aging. No one wants to age any faster, so given what IsaGenesis can do, it’s one of Isagenix’s most popular products and terrific for introducing others to the brand’s suite of healthy living products. 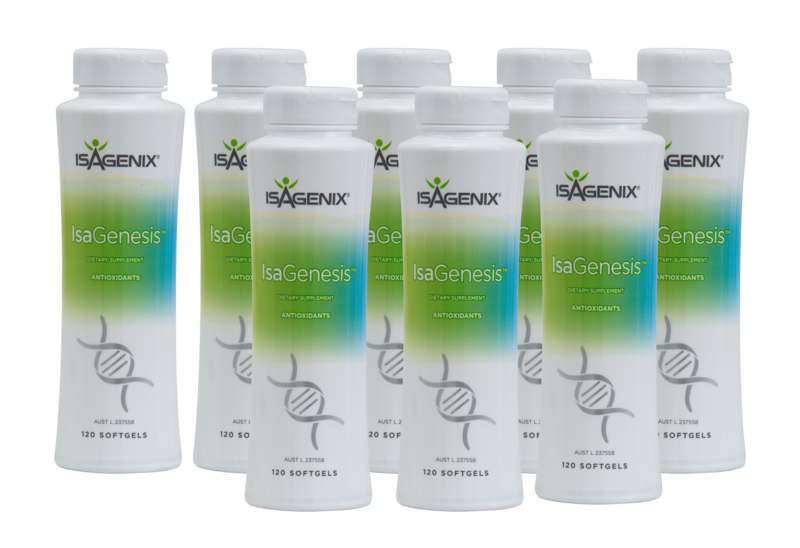 With eight bottles of IsaGenesis, the President’s Pak is a no-brainer for active adults looking to launch their Isagenix business. How Can You Buy the Isagenix IsaGenesis President’s Pak?